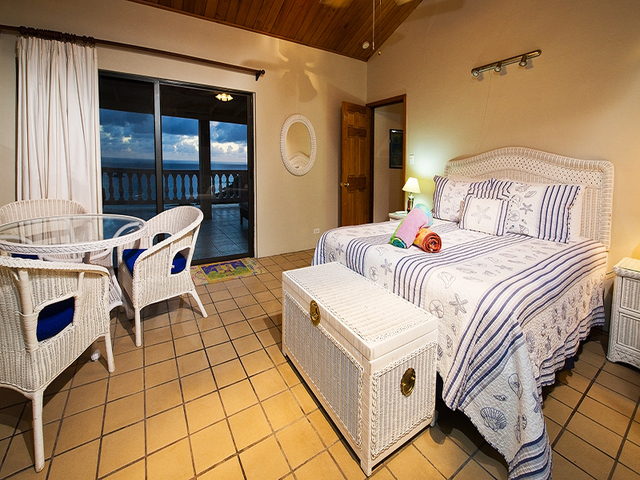 The villa is tastefully decorated and features native coral, rock and shell embedded walls built in the traditional island style. 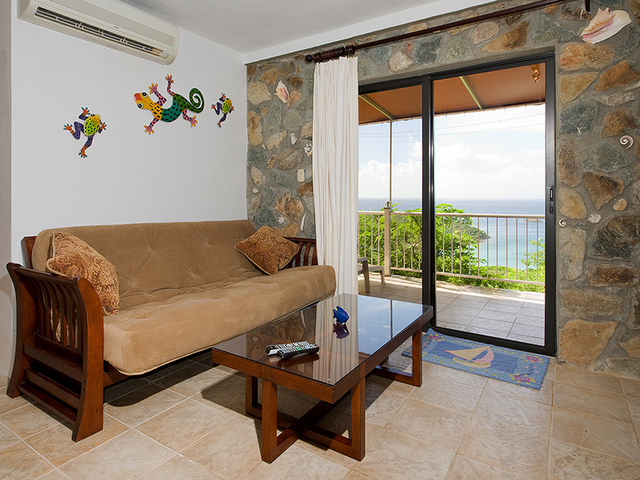 Salt Pond Vista is a two level villa, fully air-conditioned and sleeps up to eight persons. 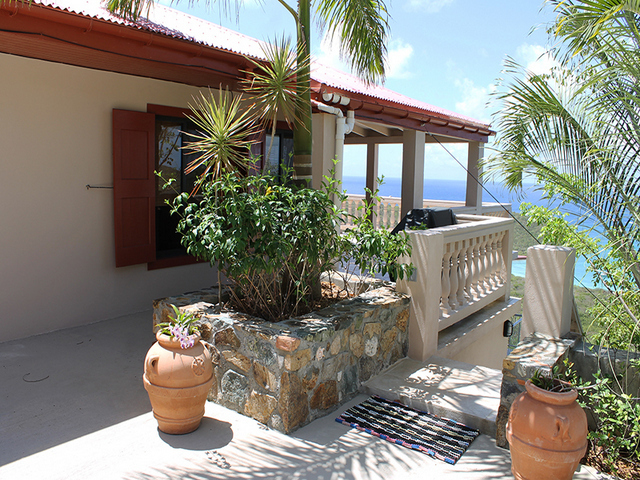 The main level and lower level are completely private and separated by an exterior staircase. 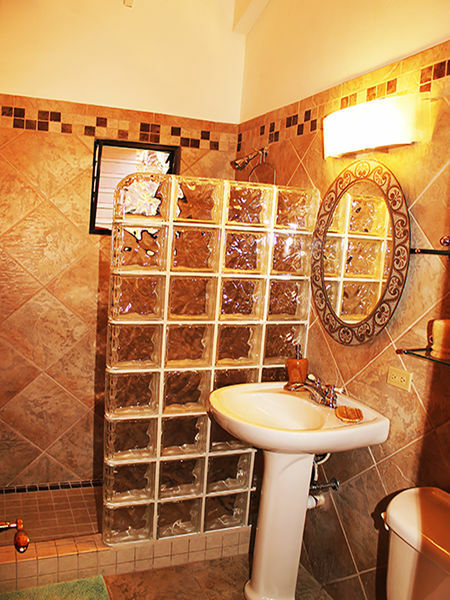 The home can be rented with the main level only or for larger groups both the upper and lower level may be rented together. 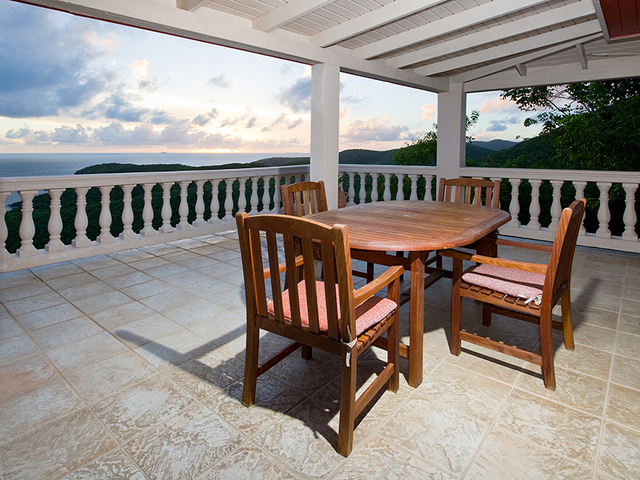 The lower level of the villa will not be rented to unrelated parties. 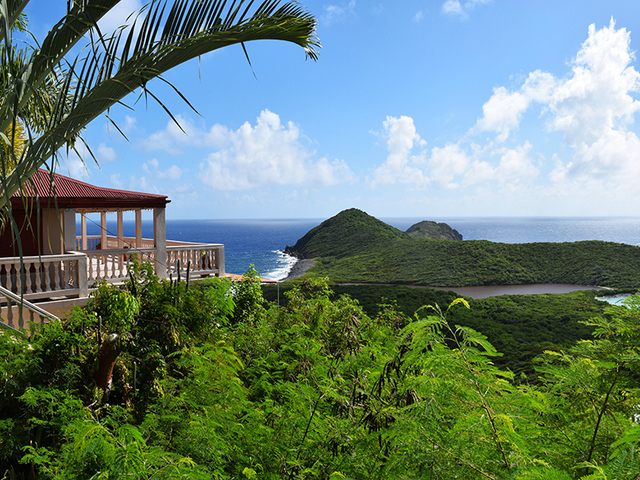 This is a perfect vacation home for two couples or multi-generational families, allowing both togetherness and privacy. 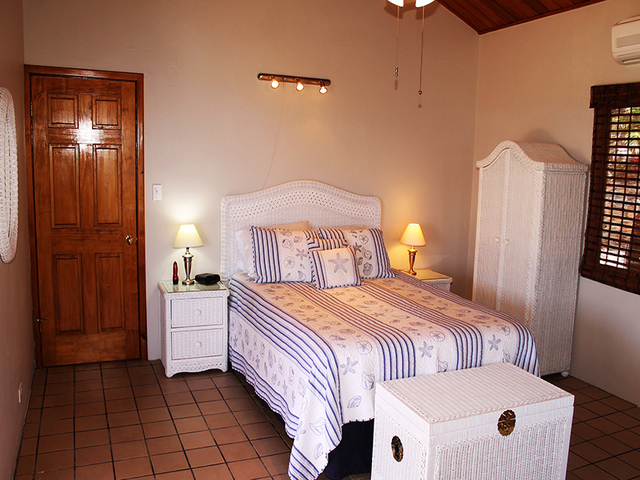 The main level includes a kitchen/indoor dining/living room, adjacent bathroom with tiled, walk-in shower and spacious queen bedroom with a breakfast table. 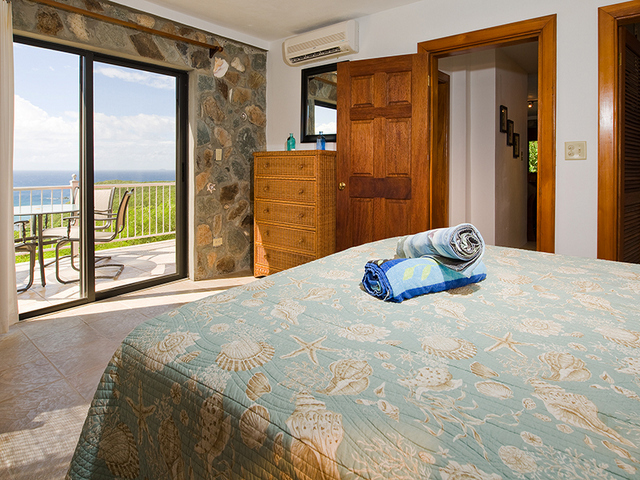 The great room which includes the living, dining areas and kitchen also features a queen size futon bed. 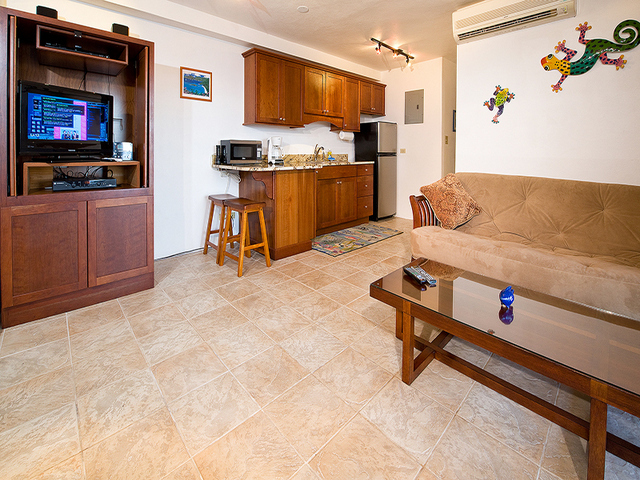 There is a wall mounted flat screen TV with cable service and DVD player as well as wireless internet service. 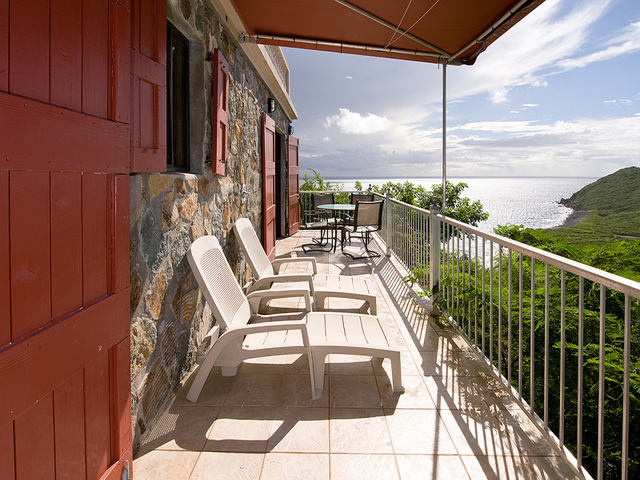 Both bedroom and living areas open onto a large, elegant partially covered veranda deck where visitors will want to spend many relaxing hours taking in the fabulous views of Salt Pond Bay and the Caribbean Sea. 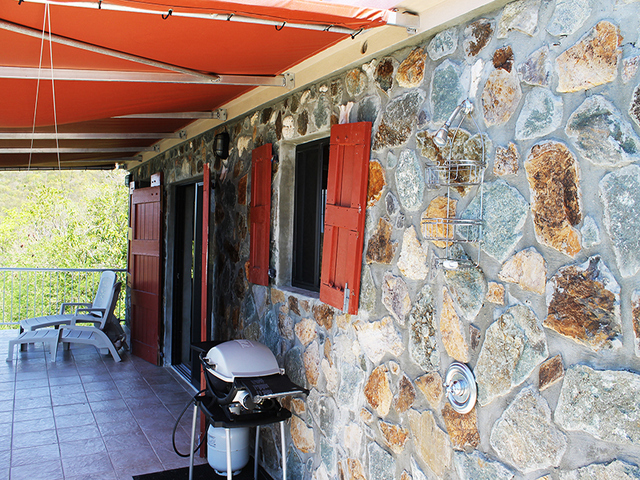 A partial roof overhang creates a shady area at all hours of the day, while the other half of the deck is always exposed to the sun for those who relish sunbathing. 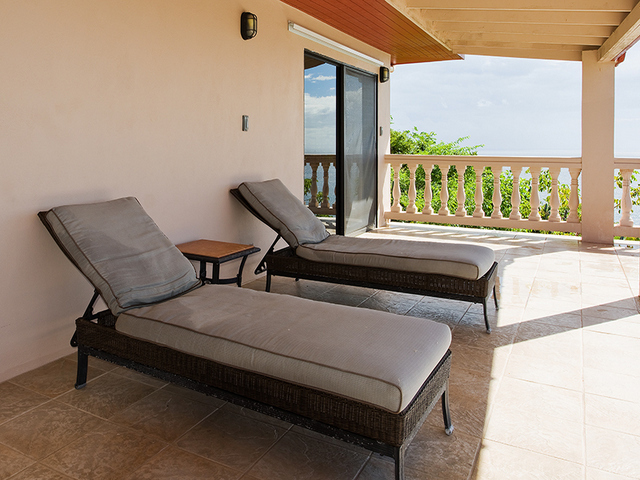 Deep cushioned loungers are perfect for relaxing, napping and reading on this breezy, scenic deck. 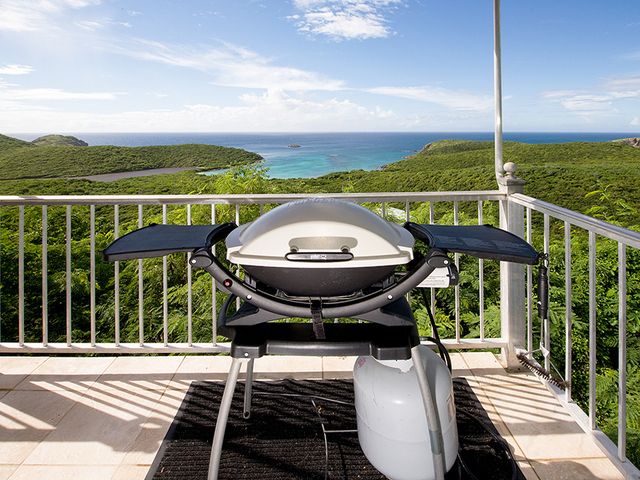 Outdoor cooking and alfresco dining is also possible with a gas grill and large teak dining set with seating for 4-6 persons. 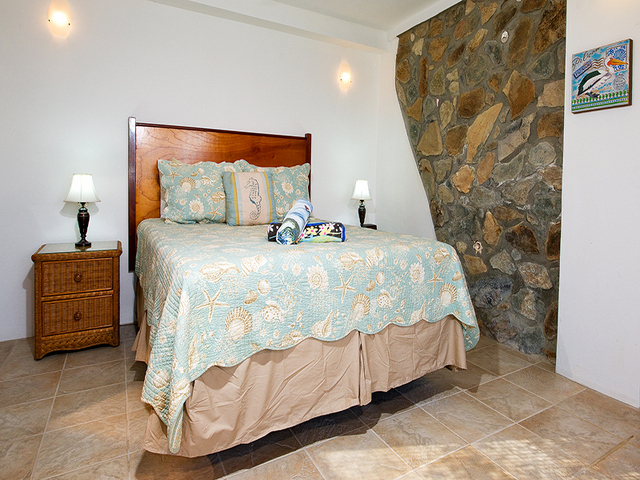 The lower level features one queen sized bedroom, adjacent bathroom with tiled, walk-in shower and great room with kitchenette/living room/dining area. 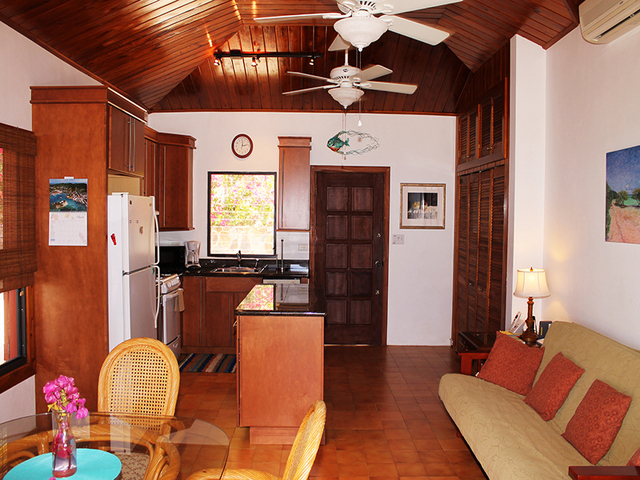 The living area features a queen sized futon and indoor dining area for four persons. 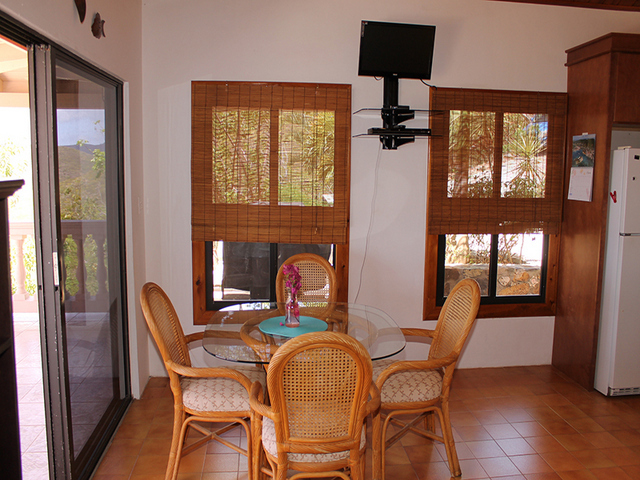 There is also a TV with cable service and DVD player as well as wireless internet service. 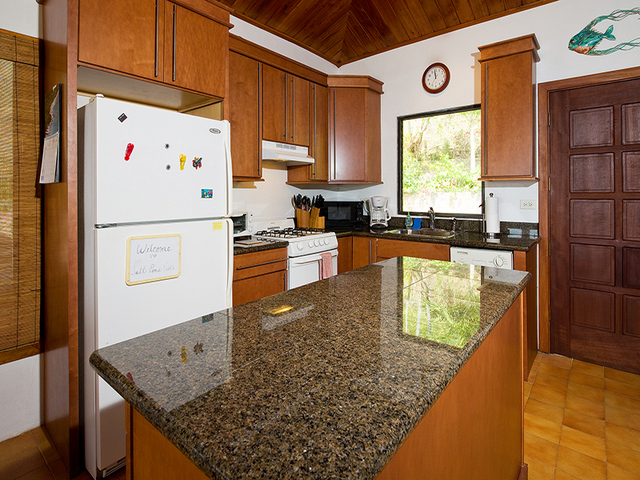 The small kitchenette includes a microwave oven, refrigerator, coffee maker and sink. 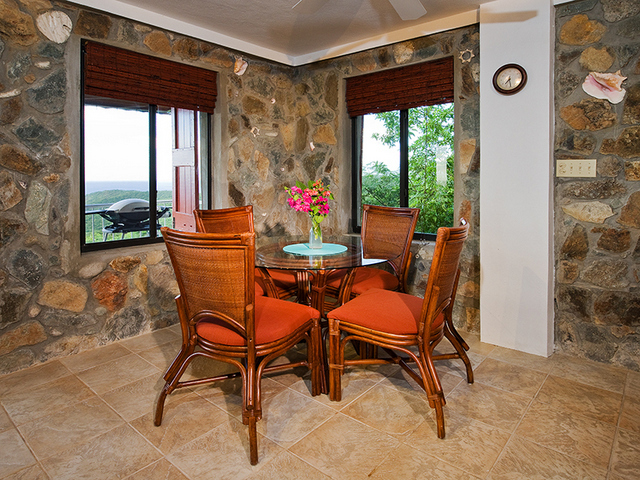 There are two sliding glass doors which open to a lovely partially covered deck with another table & four chairs as well as a gas BBQ grill. 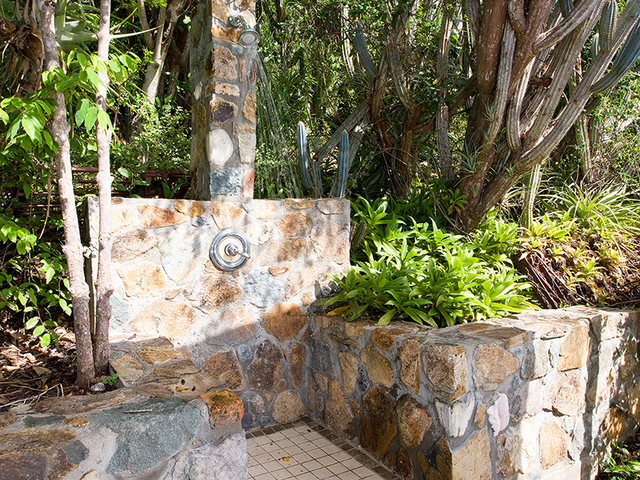 Other amenities include outdoor showers and beach supplies. 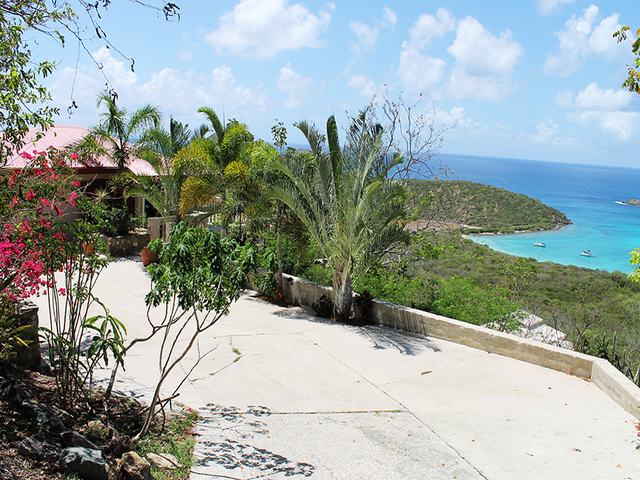 Salt Pond Vista is remote enough so that you will need to rent a car. However there are two restaurants and one convenience store nearby. 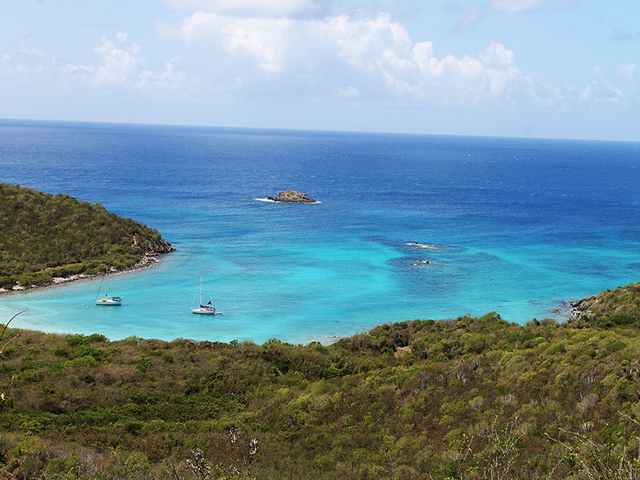 One of the best beaches and snorkeling areas on the island, Salt Pond Bay, is less than a five minute drive away or, if so inclined, hiking trails leading to the beach begin below the villa. 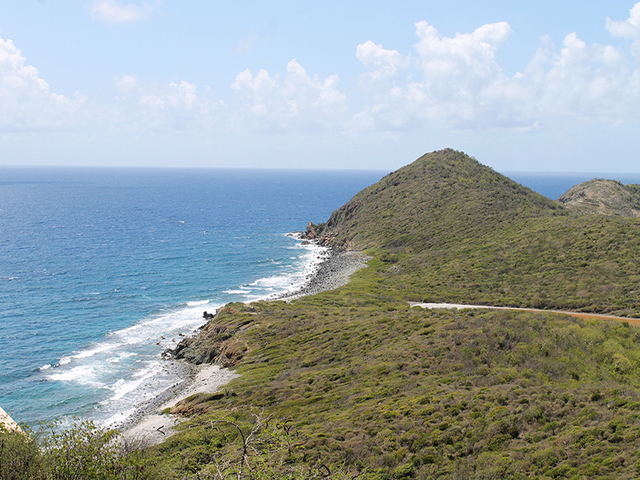 Coral Bay and numerous other beaches, restaurants, and stores are close by, 10 minutes or less by car. 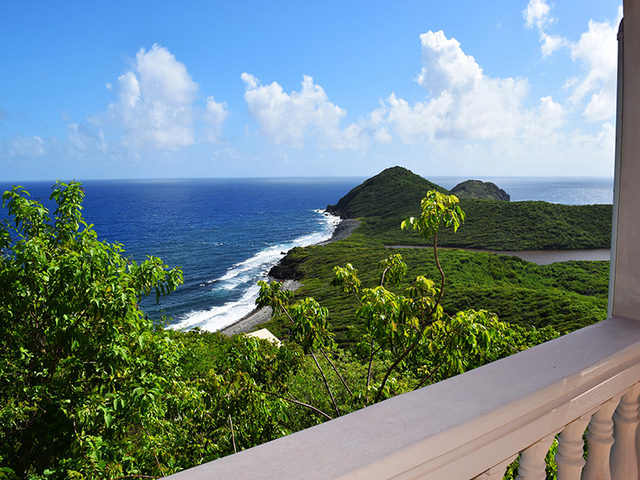 If you can imagine gazing at Caribbean water views from large decks, listening to the waves from Drunk Bay, watching sailboats glide by from afar, catching sight of humming birds magically suspended in the tropical flowers, seeing small geckos dart by, and breathing in the beauty of St. John at a relaxing pace, then Salt Pond Vista is the place for you. 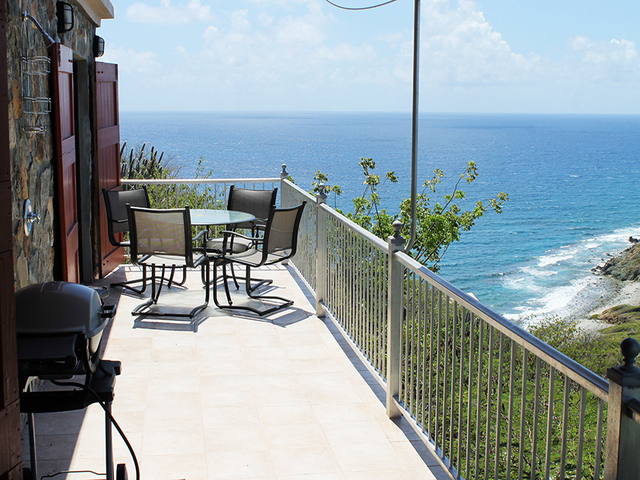 Come and enjoy this spectacular property!